Cecilia Rose - Stand Up, Inc.
Cecilia serves a Stand Up's Medicaid Program Manager. 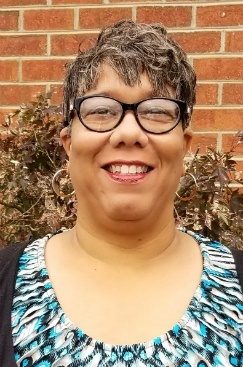 She received a Bachelor's of Business Administration from National College and became Career Studies Certified in Human Services & Developmental Disabilities through Wytheville Community College. She has been working in the human services field for a little over 16 years in various roles. Her first job was with Big Brothers/Big Sisters. She worked through a high school, COE that helped students find office jobs in the community. As she observed the children, who were not much younger than her, looking for a role model and benefitting from the mentorship that Big Brother/Big Sister gave them, she was inspired to find a career where she could help people. The training and teaching opportunities that were provided to her with her previous job has prepared her for working in the supported employment field. She enjoys working for Stand Up, Inc. and helping with their mission of changing lives. Seeing customers working and happy, and knowing that she had a part in making a difference in their life is very rewarding. A native of Lynchburg, Cecilia has a teen aged son, Tyler. Her future plans including continuing her education in the Human Service Field.